Next Casino has released a new sign up bonus deal that runs until the end of November. New players that make a first deposit will receive a 100% first deposit bonus up to €200,- / £150,-. But they will get more than just this. 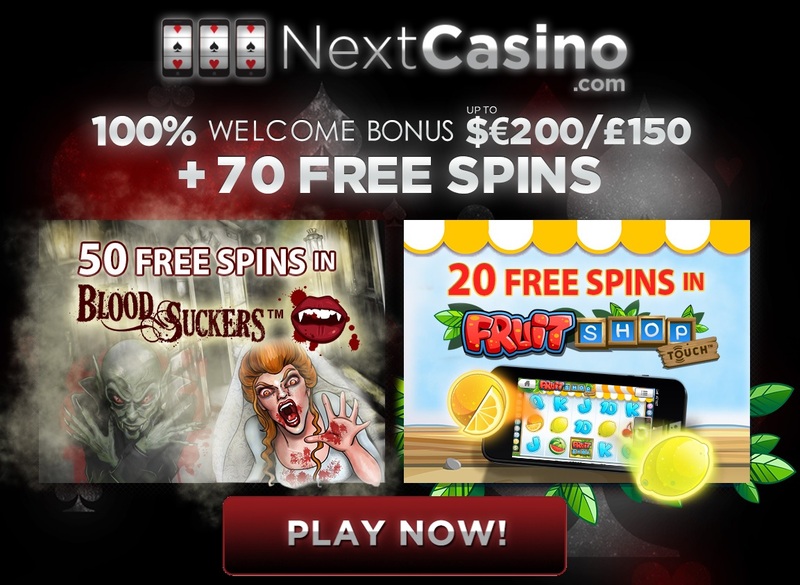 Next Casino will also give new depositing players 50 free spins on the slot game Blood Suckers and another 20 free spins on Fruit Shop Touch, the mobile version of Fruit Shop. This is a pretty nice deal for any new player. So sign up before the end of November and make use of this offer. Next Casino is a rather new online casino that offers games from NetEnt, Microgaming, Play’n Go, Betsoft and more. All online, no downloads needed. They also support over 10 different languages and accept almost any known payment method.